RK Griffith & Associates was founded in 1971 by Robert “Bob” Griffith, who had served as Vice President of Sales and later as President at Riley Stoker Corporation in Worcester, MA. Bob’s father Louis E. Griffith II started with Riley in 1923 and served as President from 1962-1964. Louis E. Griffith III ("Lou") joined RK Griffith in 1976, serving as President until 2012 and retiring in 2014. In June 2012, the company’s ownership was transitioned to Jeff Penterson, who had joined RK Griffith in 2009 after previously working for seven years at Babcock Power (Riley). Today, the original Riley roots are reflected in both our product lines and our focus: utility and industrial steam generation equipment for both electric power and process needs. Scroll down to contact an individual on our team directly via mobile or email, or follow the link below for our general contact info and FAQs. Jeff graduated from Lehigh University with a B.S. in Mechanical Engineering in 2002 and from Worcester Polytechnic Institute with a MBA in 2007. Prior to joining RK Griffith in 2009, he worked 7 years for Riley Power/Babcock Power. Jeff is a registered professional engineer in Massachusetts.In addition to his management responsibilities, Jeff provides coverage of Architect Engineering, EPC and OEM accounts throughout New England as well as end user accounts in Connecticut, Massachusetts and Rhode Island. Kevin joined RK Griffith in 2015. Prior to joining RK Griffith, Kevin worked for one of our principals, Clyde Bergemann, focusing on their damper and expansion joint product line. 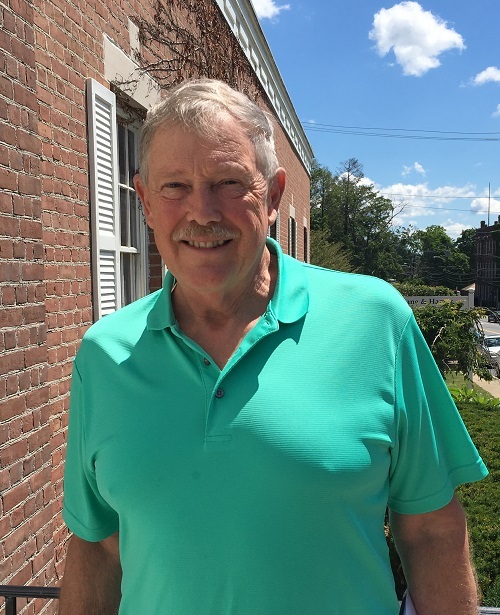 Prior to Clyde Bergemann, Kevin had worked at both the Bucksport and Rumford paper mills as a reliability engineer. Kevin holds a BS degree from the University of Maine at Orono in Mechanical Engineering Technology. Lou joined RK Griffith, then owned by his late father Bob Griffith, in 1976 after serving in the Air Force. He bought the company in the mid-1980s and then sold the business to current owner Jeffrey Penterson in 2012. He retired in 2014 before coming back on board this year to work in a consultant role, providing sales coverage for several key accounts. Lorelei joined RK Griffith in 2017, where she manages the office and all marketing activities. Previously, she worked in the television industry before shifting to marketing with a specialty in content production. She holds a bachelor's degree in media arts from Emerson College and an MBA from Ashford University.